Situated in the heart of Milan, Hotel Principe di Savoia offers guests a warm and elegant atmosphere in the 19th-century Lombard style. A member of the Dorchester Collection, the property caters to business travellers rushing through the great city, or to a more genteel leisure market. Here Breaking Travel News catches up with general manager Hotel Principe di Savoia to discuss all that is new with the property. Breaking Travel News: Hotel Principe di Savoia has been recognised in the past at Italy’s Leading Hotel by the World Travel Awards, and is nominated for the prestigious title again this year. Can you tell us how it feels to have won this honour? Ezio Attilio Indiani: It is a great honour for us as the World Travel Awards are truly the most prestigious industry awards. All the team at the Principe works with immense dedication and true passion and when all these hard efforts are recognised this for us is a great reward. 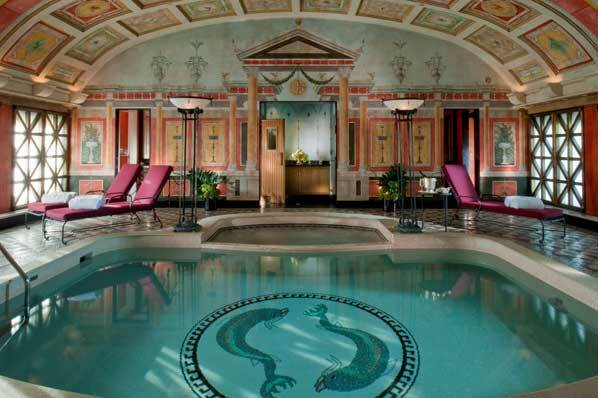 BTN: What do you think it is that separates Hotel Principe di Savoia from its competitors in Milan, Italy and Europe? EAI: At Hotel Principe di Savoia, besides having a product that is exceptional from the rooms to the one of kind suites, to the Acanto Restaurant, Principe Bar and Club 10-Fitness & Beauty Centre, what we concentrate on is our staff. You can have the perfect product but if the people working are not happy or qualified then it is useless. We put our people first and make sure that they all have proper training and that they can transmit also to our guests their passion for their work. At the Principe we strive to not just meet the needs of our guests but to anticipate them. BTN: Can you bring us up to date with the latest developments at the property? What improvements have you recently made in order to stay ahead of the competition? EAI: At the Principe we never rest on our laurels and continuously work in order to be a step ahead of our competition. The whole hotel was been recently refurbished, we are continually implementing new training programs in order to have our staff up to date on all the latest technology and trends. We have embraced social media and are engaging with our guests on all levels. BTN: Has the economic situation in Italy played a role in the development of the hospitality sector there? EAI: The hospitality sector in Italy has always been very strong. We are fortunate to live in a country that is known worldwide for its amazing food, wine, fashion, design, cars, culture and people. Furthermore we have some of the most beautiful and important art works in the world. The landscape of the country is also very inviting from the gorgeous Alps to go skiing and hiking, to our stretches of stunning beaches, to our breath taking countryside and not to mention some of the most striking cities in the world. BTTN: From where do you tend to draw your clientele? Is it a largely business market you are aimed at, more is the property more suited to a leisure traveller? EAI: Milan is the business, fashion and design capital of Italy. Therefore 70 per cent of our clientele is a business and 30 per cent leisure. We can of course cater to both the business and leisure traveller and tailor make their stay in order to always make them feel at home. For the business traveller we offer wi-fi service in all rooms and common areas, a business centre, a fitness centre that opens at 05:30, packages with guaranteed early check in and express laundry service to always look impeccable for those important business meetings. On the other hand for the leisure traveller we offer complimentary car service to the historical centre, a beautiful rooftop pool with also private swimming lessons for the children, cooking classes, wine tasting classes, truffle hunting and our Discover Milan package to explore all the hidden gems of the city. BTN: In what ways does the relationship with the Dorchester Collection benefit Hotel Principe di Savoia? 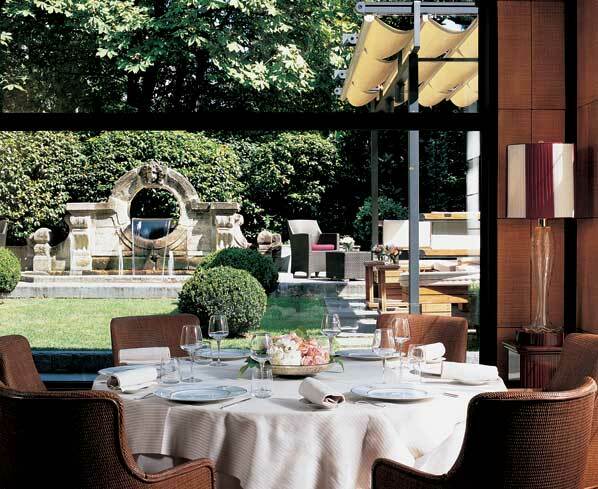 EAI: I strongly believe that the Dorchester Collection is one of the best luxury collections in the world. Pass through the doors of a Dorchester Collection hotel and you’ll experience something truly special. You’ll sense it in the way you are greeted; see it in the iconic elegance; discover it in the service and enjoy it in the quirky characteristics. The difference is all in the detail. From captivating style to state-of-the-art facilities and outstanding locations, each hotel embodies the culture of its surroundings. The natural charm and heritage is matched with exceptional service designed to give you a true sense of belonging and a strong desire to return, knowing that every time you visit you’ll experience heartfelt hospitality. There is more information on the Hotel Principe di Savoia over at the official website.